Namste my dear friends and readers!! How have you been. Last month I was super busy with my work. It had been roller coaster ride for me but life is back on track, I really don't know for how long as I have several important things to do and share some exciting news with you all. Right now blogging has taken back seat but still you can expect some sporadic posts on my blog. Thanks to all creative and talented bunch of people who keep writing to me. It's because of all those lovely people that I can't stop blogging. 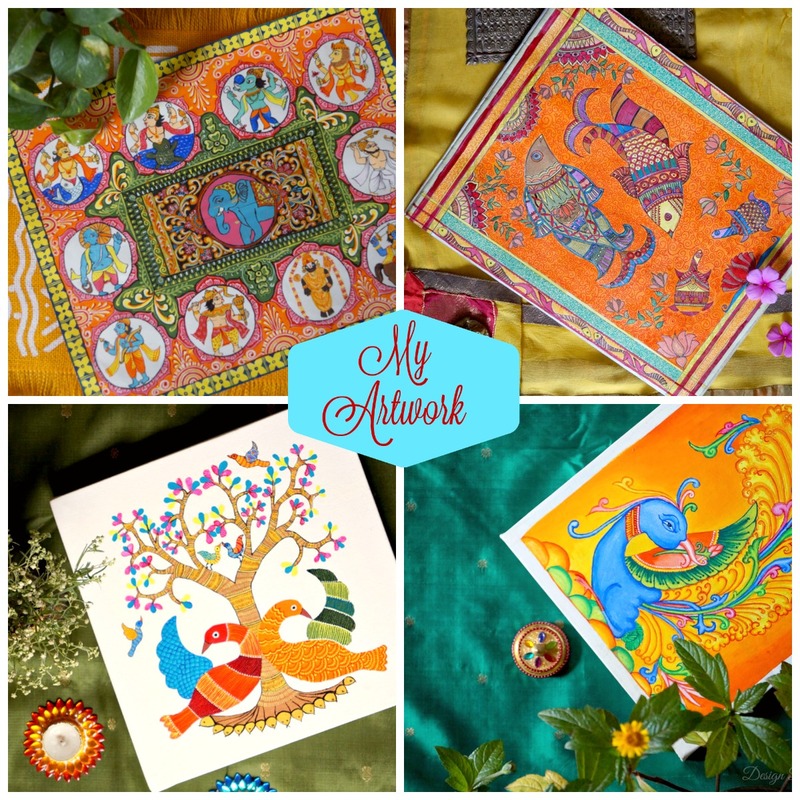 One such beautiful and colourful mail I received sometime ago and I couldn't stop myself drafting a post about this wonderful artist. A self motivated and self taught artist who is shining our country's name abroad, Safal Chitre. Safal a very warm welcome on 3D. Please tell us more about yourself. First of all I would like to Thank Disha for featuring me on her wonderful blog! I am Safal Chitre. Currently live in USA, originally from Mumbai. I am self-motivated artist. By education I am an Engineer however, always attracted towards art world. 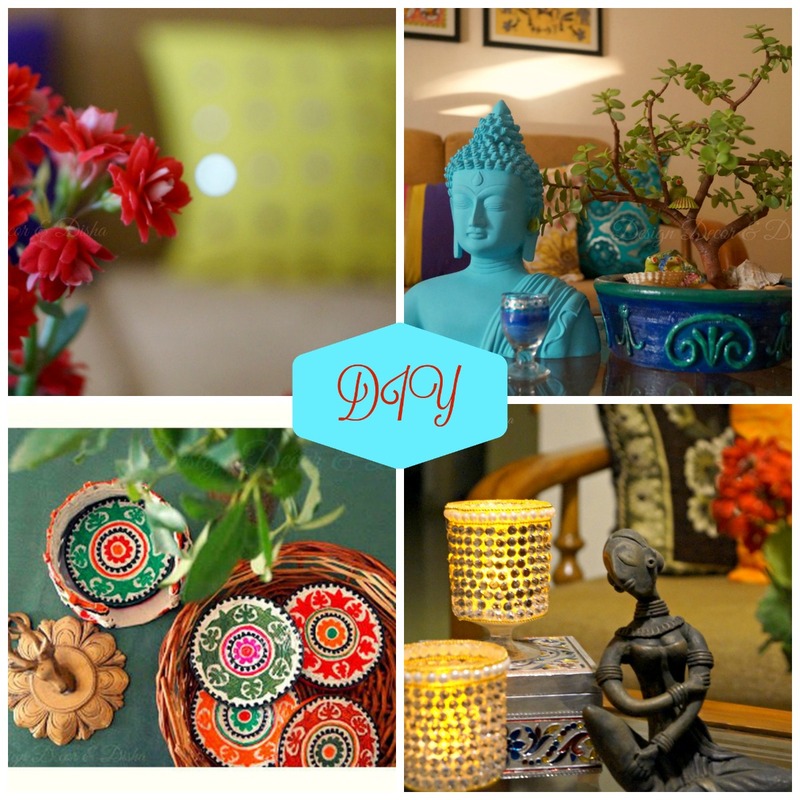 I have always been fascinated by the Handicrafts and Art. 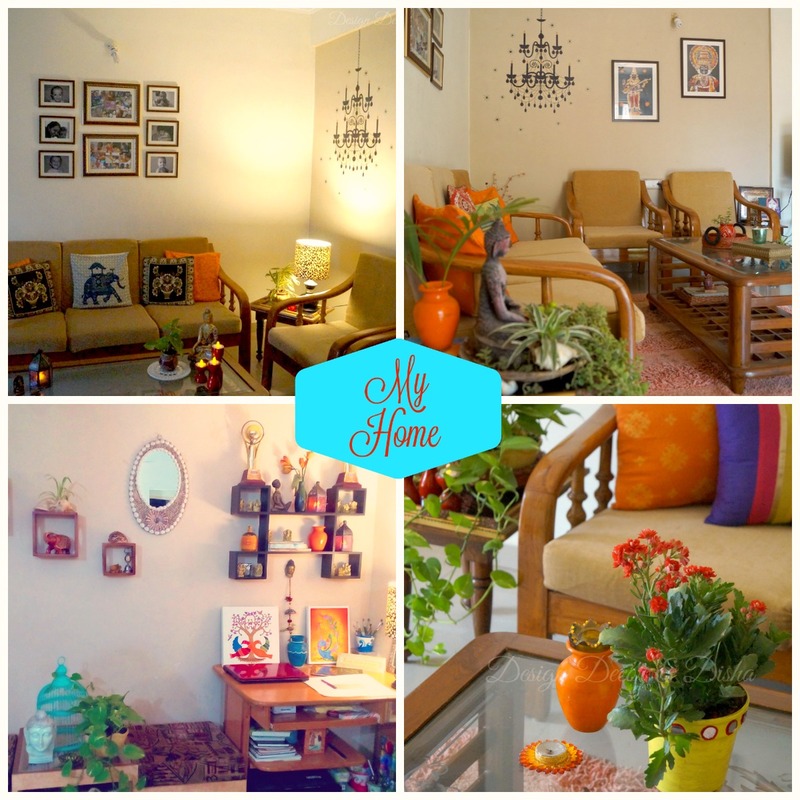 I love to decorate my house with handmade stuffs then it could be paintings or craft. 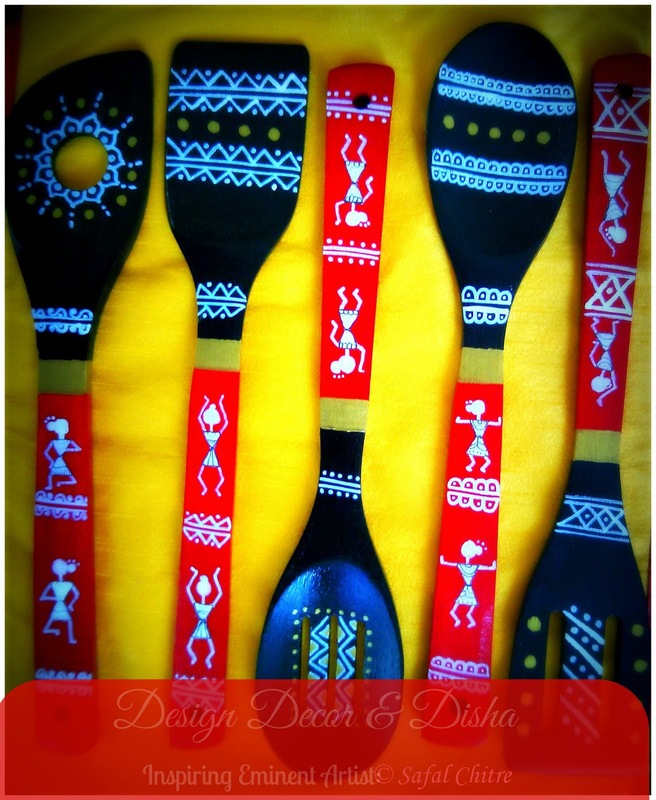 The simplicity and the elegance of warli style impressed me so I learnt warli art. From last 4 years I have started my artistic journey and it is flourishing. 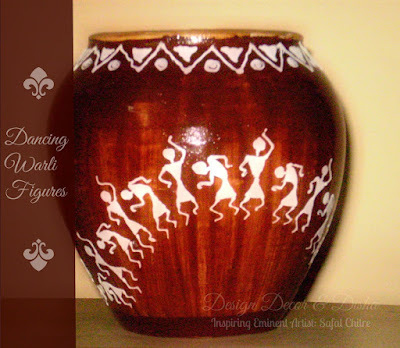 Apart from traditional warli style, I am trying to give modern look to it by adding colors and patterns on various mediums. Now I have found my own style that I can say as Contemporary Warli. Before starting warli, I was thinking this art is simple to work with but friends honestly it is not that easy, you will require lot of patience and dedication. And then see the miracle, you will fall in love with its beauty and rhythm. Although I practiced this art using different mediums such as oil, acrylic, ink on clay, wall, fabrics, glass, canvases; I love to work with wood and clay as well. Apart from paintings; I am more interested in making home decor stuffs. 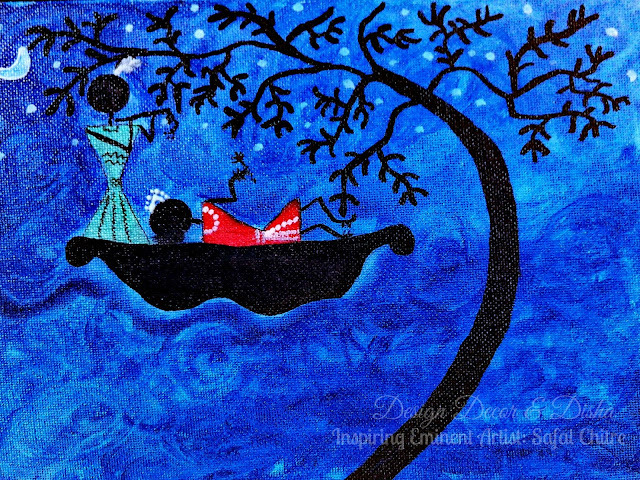 It inspires me to paint even more when I look at my artwork enhancing beauty of my home. By getting shortlisted among professional artists in art galleries in USA from various countries and states, I am getting wonderful exposure to showcase my talent. 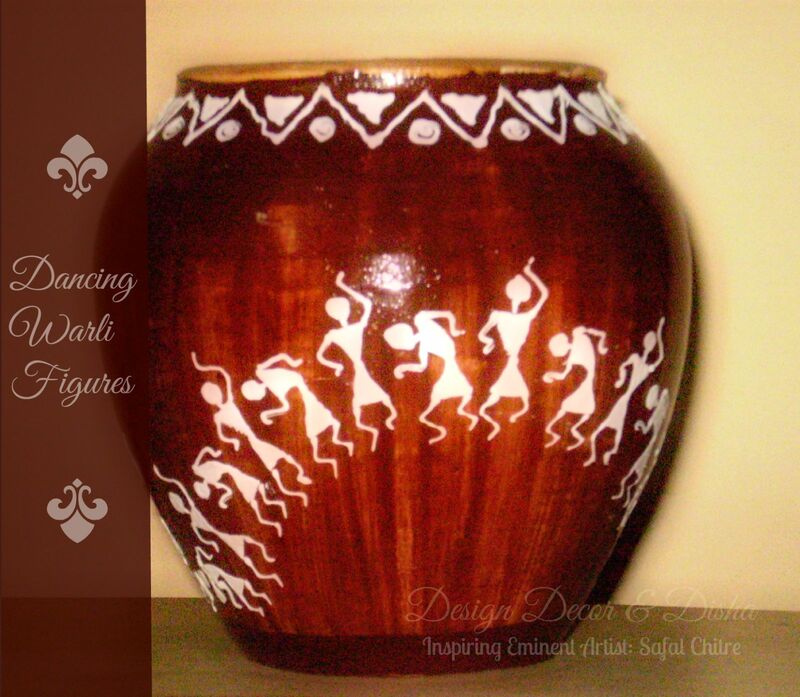 This gives me great satisfaction that I am introducing people here this beautiful tribal art of India which is not even that much well known in India too. For my success my husband has main role in my life, without his support I could not take my hobby to professional level. 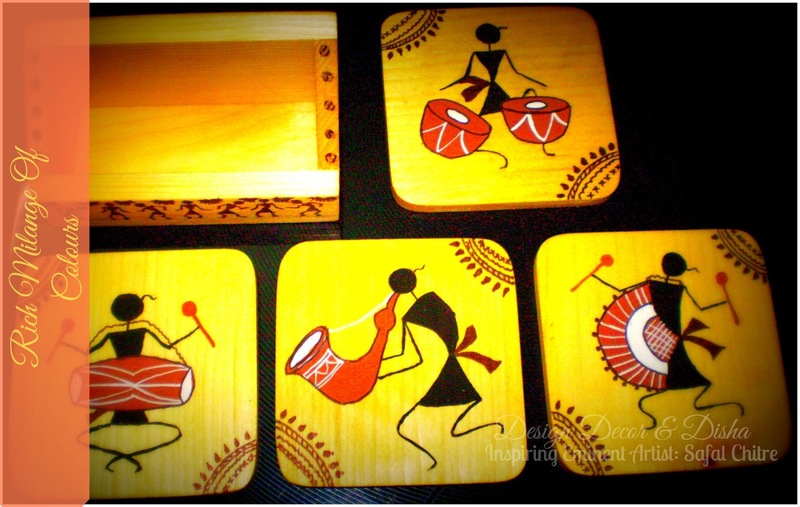 In future apart from warli I would love to learn and try other folk arts too. Thank you Safal for sharing your creative journey with us. I wish you good luck!